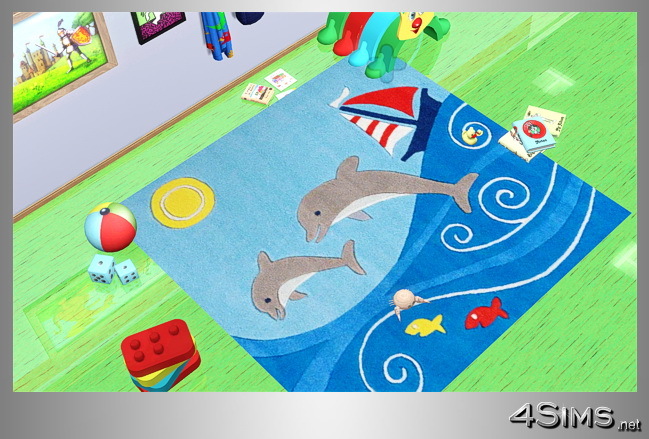 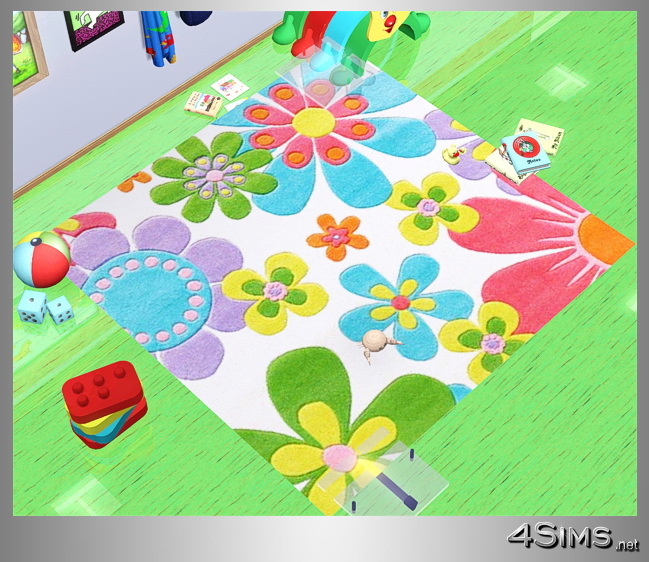 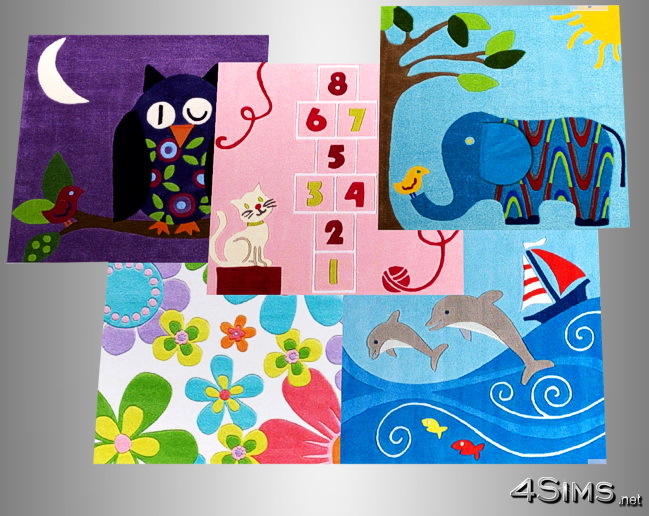 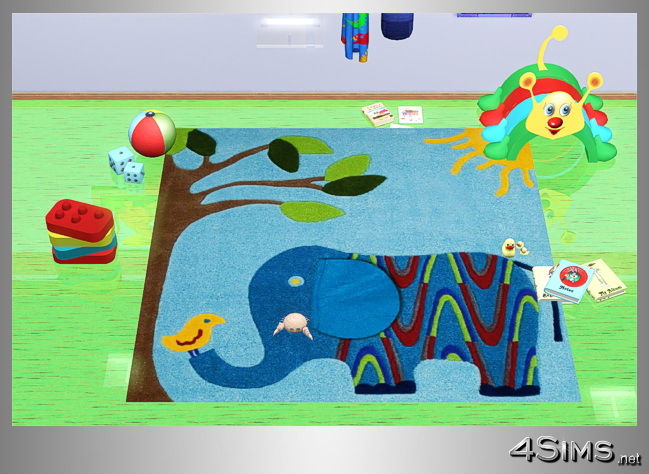 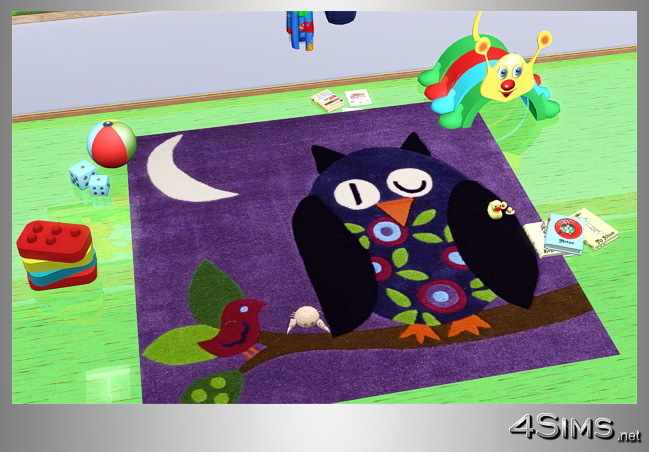 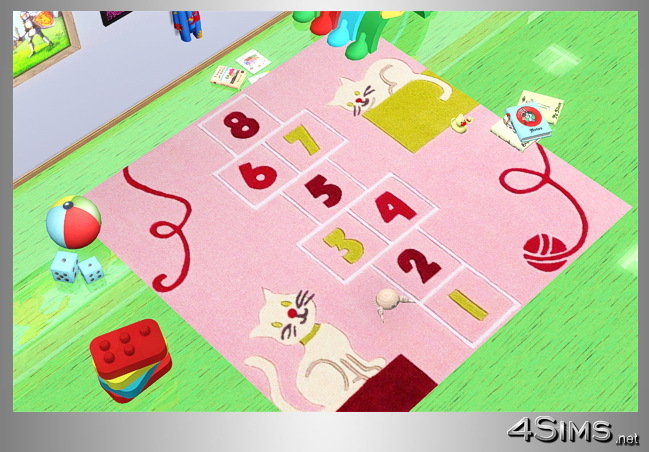 Square rugs for kids room, 4 x 4 size, 5 different happy and colorful designs: owl, dolphins, elephant, cat and flowers . . Semirecolorable… easy adjustable luminosity.